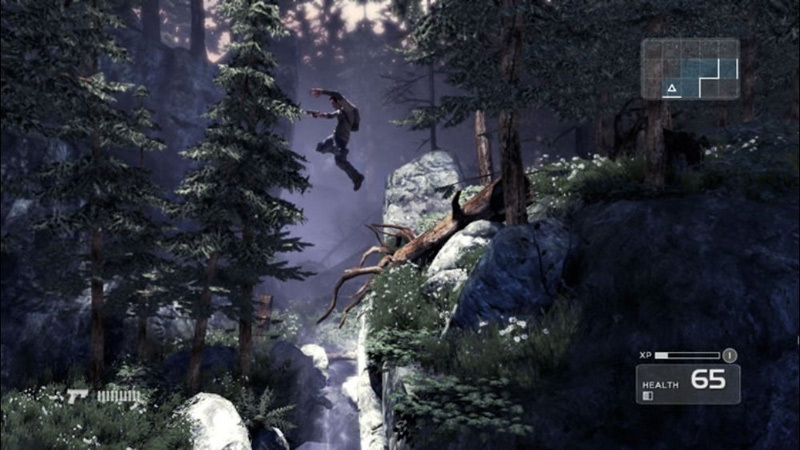 Shadow Complex is the story of Jason Fleming and his girlfriend Claire. While camping in the wilderness, Claire sets off to explore a nearby cavern and unwittingly stumbles upon a shocking surprise: an underground and heavily militarized base of a mysterious group known as the Progressive Restoration. Taken prisoner by representatives of the organization she is dragged into the bowls of a mountain, which soon incites the worried Jason to come searching for her. Shadow Complex is an incredibly well-made game that finally grabs the " Metroidvania" subgenre and drags it into the modern era instead of relegating it to a land of remakes or portable games. Players that obsess over speed runs and 100 percent completion will certainly find a lot of replayability, but even players who just want to play a game start to finish and move on will find that the quality of Shadow Complex makes it well worth its $15 price tag. A straightforward run through can be completed in under five hours, but you’ll want to take your time to fully explore every brilliant nook and cranny to extend the fun. The already high replay value is bolstered by challenge missions that can be tackled at your leisure. Chair Entertainment has substantially raised the bar for downloadable games to come and helped us rediscover a long lost love in the process. 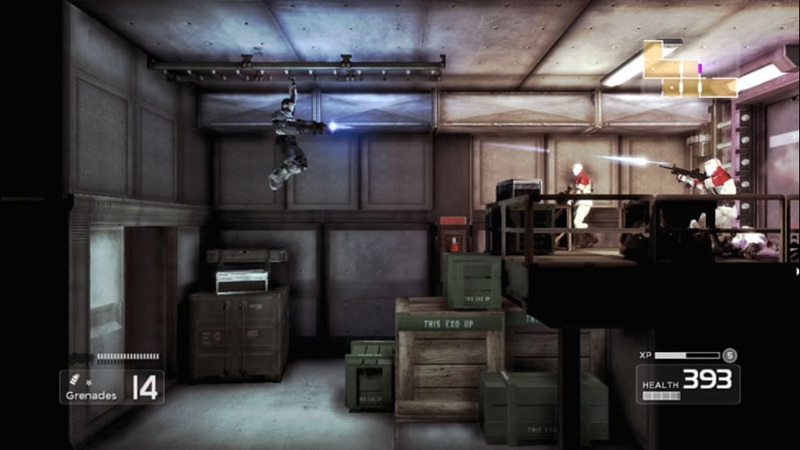 In its slick production, Shadow Complex sets a new and extremely high bar for Xbox LIVE Arcade games. Visually, the game rocks it with Unreal Engine 3.0 visuals that only show small signs of faltering during cut scenes. The game also features a superb soundtrack, from a heart-pounding action score to some haunting classical pieces that offset the mood in beautifully stunning ways. 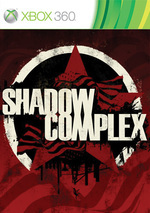 By focusing on the core themes of exploration and high-intensity combat while treating you to lush graphics and multiplane complexity, Shadow Complex is an excellent current-generation take on a classic gaming genre. There are enough secrets hidden in the Progressive Restoration's massive underground facility to keep you going for hours on your first play-through, but with the four difficulty settings, competitive leaderboards, challenge rooms, clever achievements and bonus objectives, you won't want to leave it at that. Shadow Complex ends the Summer of Arcade on an unbelievable high note, delivering a retro-inspired romp that will thrill any gamer with a pulse. Does it have any flaws? Sure, as some of the elements might feel a bit too familiar to long time side-scrolling fanatics and the absence of cooperative play really stings the trigger fingers. But at only $15, Shadow Complex is an absolute must-buy, offering an experience that exceeds the quality found in most disk-based 360 releases. Shadow Complex probably could have used a little more development time to iron out a few glitches and nail down the sometimes awkward aiming system. Even so, it stands as one of the best games yet in 2009. And I'm not just talking about the Xbox Live Arcade. The classic, exploration-heavy gameplay is a winner. Go buy this game. 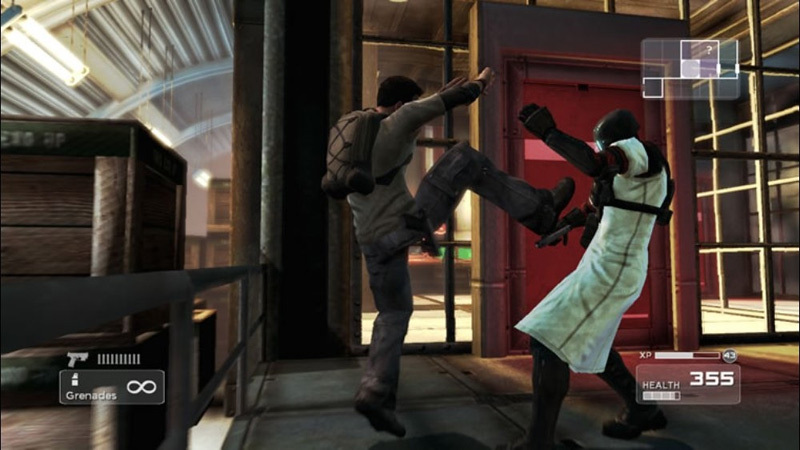 In short, Shadow Complex is a triumph, a new standard for downloadable games. It’s a game in the purest sense, but is as “next-gen” as any Xbox 360 owner could hope for. And at 1200 MS Points it’s an absolute bargain guaranteed to fill rival XBLA developers with fear. 2009 has already seen a raft of quality downloadable games, but Shadow Complex could well be the best. Shadow Complex is an incredibly solid game that could fetch $30-40 as a retail copy. While it isn’t the longest game out there (you should be able to complete the game in under 8 hours), the fact that it’s a mere $15 makes the game a must-buy for any 360 owner. With titles like Shadow Complex and Braid, XBLA has been quickly shifting from a place for retro ports to a showcase for some of the best indie and labor-of-love projects in the gaming industry. For a fifteen dollar arcade game, the production values are almost unbelievable. The graphics are great, the level design is fantastic, the gameplay is fun and involving, the sound effects and voice acting are well done, and the story is even interesting. It is nice to see such an impressive take on the old Metroid/Castlevania formula. Here's hoping we'll get more games in this series, as the Empire Trilogy of books continues to be released. At 15 dollars, Shadow Complex is simply a tremendous value, especially in the doldrums of summer. The lackluster story, superfluous 3D forays, and routine combat amount to mere nitpicks. The urge to scour and uncover that fuels the game makes it hard to put it down once you've started. It may not be remarkable in the grand scheme, but it's well executed, and easily worth exploring. 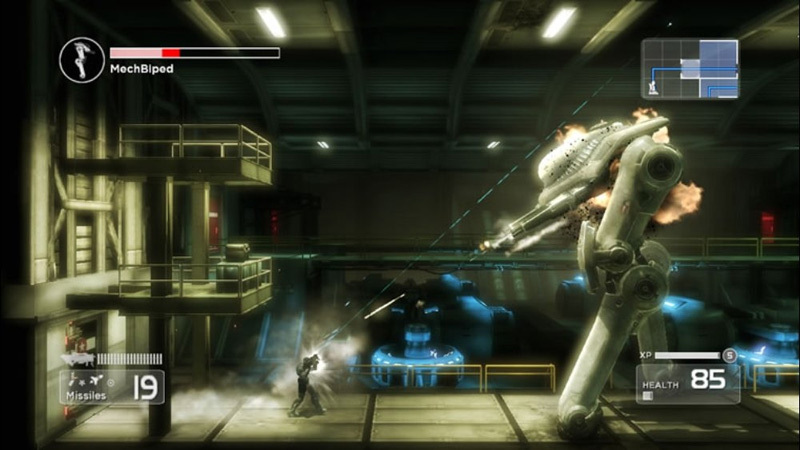 The result is a glorious 3D reimagining of the Metroidvania style of game, at once reverent of its references, yet also eager to better their achievements. In some areas it meets this tall order, in others it falls a little short. Nevertheless, it's a game that will delight gamers old enough to recognise the classics it celebrates, while captivating those oblivious to its inspirations. Its inevitable success in the coming weeks and months could even kick-start the genre. Drop a stone into this game and the splash may never echo back. Its significance might just be unfathomable. Shadow Complex es una gran puesta al día de los juegos de acción en 2D con toques de exploración y aventura (probablemente el mejor del género desde Castlevania: Aria of Sorrow) que encandilará a los fans de Metroid y similares, pero que también añade suficientes elementos como para agradar a los neófitos. Si además le sumamos un excelente apartado técnico y un precio más que razonable (herencia de su naturaleza de juego descargable). A cambio de 1.200 Microsoft Points y de una descarga de poco más de 800 megas, recibiremos en nuestra Xbox 360 uno de los mejores videojuegos del catálogo Arcade. Con un ritmo trepidante, un apartado gráfico y técnico sensacional y, lo que es mejor, una capacidad de adicción a prueba de bombas, Shadow Complex se erige como una compra no ya sólo recomendada para los fans de la acción, sino prácticamente imprescindible para cualquier aficionado. Nosotros nos quedamos con la colaboración entre Epic Games y Chair Entertainment y os recomendamos su descarga a todos aquellos que queráis revivir un género clásico sin sacrificar la evolución natural de la industria del videojuego. Cantidad de horas para exprimirlo al máximo Jugabilidad clásica y actual por partida doble Rápido, dinámico, para cualquier usuario, profundo y con sustancia argumental Doblado al castellano La solidez y la versatilidad del Unreal Engine 3 . Shadow Complex est sans doute l'un des meilleurs titres du catalogue Xbox Live Arcade. Le studio Chair Entertainment est ici parvenu à allier un gameplay 2D plutôt classique et des environnements en 3D de toute beauté pour nous offrir un condensé d'action incroyablement efficace. Shadow Complex chega então ao Xbox Live e mais do que projectar o revivalismo de um género em desuso pela indústria, ultrapassa a dificuldade de organizar uma grande produção a um baixo custo. Mesmo que sejam inegáveis e até assumidas as semelhanças com alguns clássicos guardados no baú de ouro da indústria, este título da Chair mostra que há espaço para inovar e que muito ainda pode ser feito na área dos descarregáveis para as plataformas como o Xbox Live. Plagio o non plagio, il mix tra combattimento ed esplorazione funziona perfettamente: mai un calo di ritmo, mai un momento noioso o una indecisione. Rivivrete quella sensazione di puro divertimento da sala giochi che vi terrà incollati al pad, obiettivo dopo obiettivo, finché non vi renderete conto di essere a giocare da tre ore. Non si potrebbe chiedere di più ad un gioco del genere, per un prezzo del genere (al momento non sappiamo ancora se costerà 1200 o 1800 Microsoft Points).